Languages Spoken: Hindi, Maithili and English. 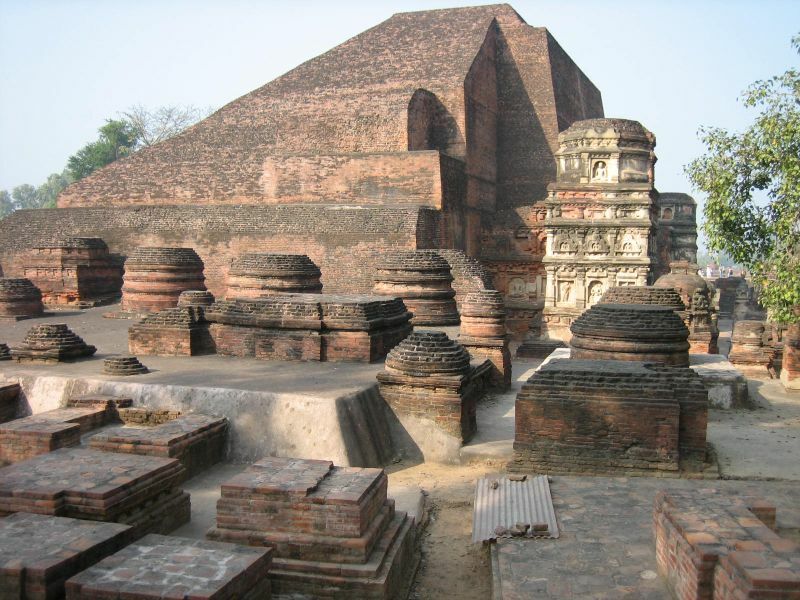 Around 90 kms from the capital city of Patna, lies the oldest known University of the world, Nalanda. 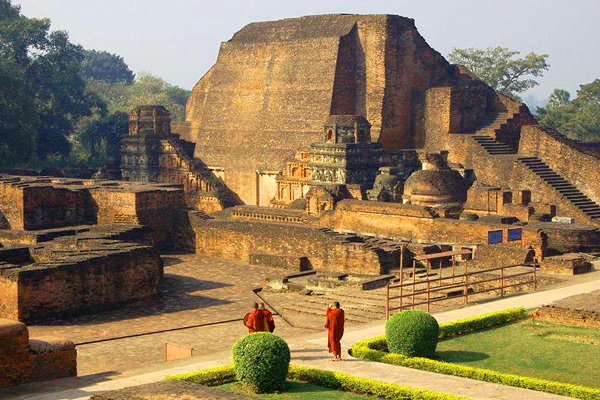 Although Buddha visited this place many a times in his life time, the town shot to fame much later as one of the world&apos;s greatest and best Universities. 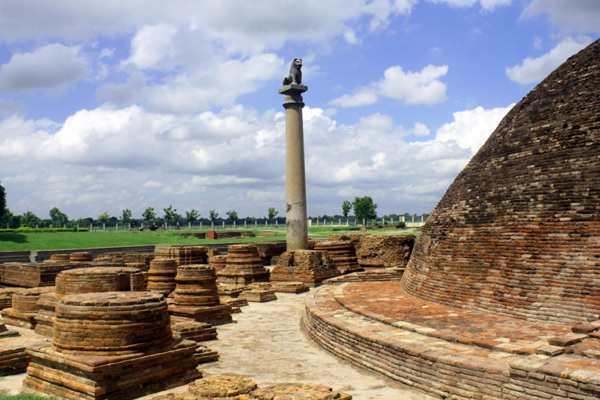 The excavations undertaken at the site have unearthed a huge complex of a University founded and patronized by the Gupta emperors. This university could accommodate thousands of students and teachers coming from various parts of the country to attain knowledge and study various aspects, which included Buddhism, Vedas and Vedic texts, Logic, Grammar, Languages, Theology, Astronomy, Mathematics and also medicine.<br />The University of Nalanda reached its zenith under the patronage of the great emperor Harshavardhana of Kannauj and Pala kings. 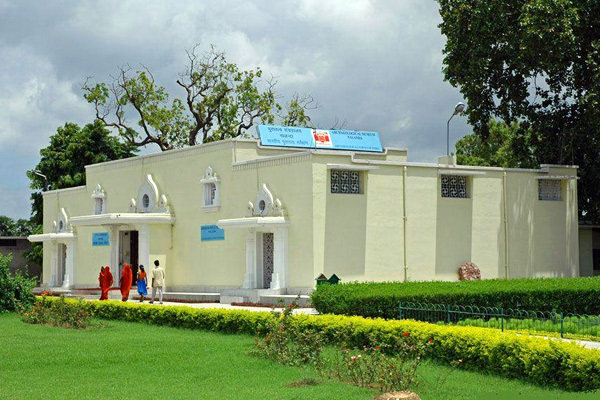 Soon it became a great centre of learning and students from all over the world came here. Chinese traveler Xuan Zhang came and stayed here and received the name of Mokshadeva over here.<br />The University bloomed and blossomed till the 12th century. 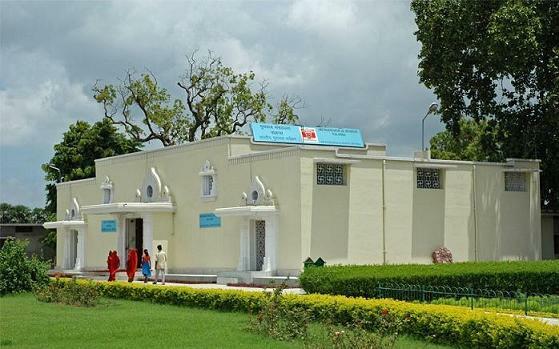 It was by the end of the 12th century that the flourishing centre of learning was ransacked, burnt down and the teachers and students brutally massacred by the Afghan invader Bakhtiar Khilji. Today, what remain of this once prosperous university are its ruins, standing testimony to its glorious past. 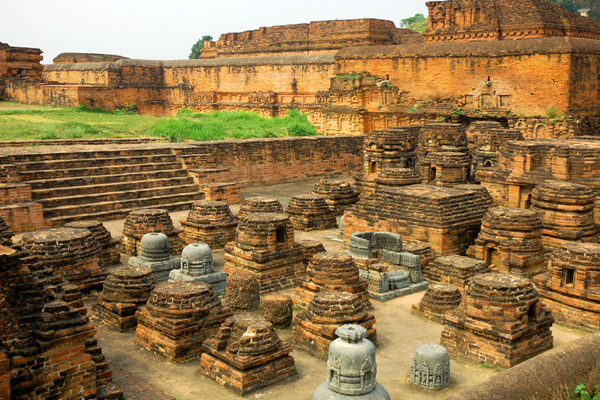 Located around 90 kms from the capital city of Patna, Nalanda is a must visit place in Bihar. 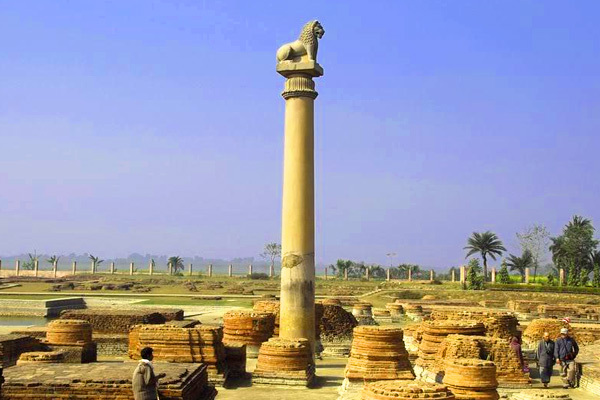 The Ashoka pillar erected in 249 BC is a polished sandstone pillar with six edicts on it. 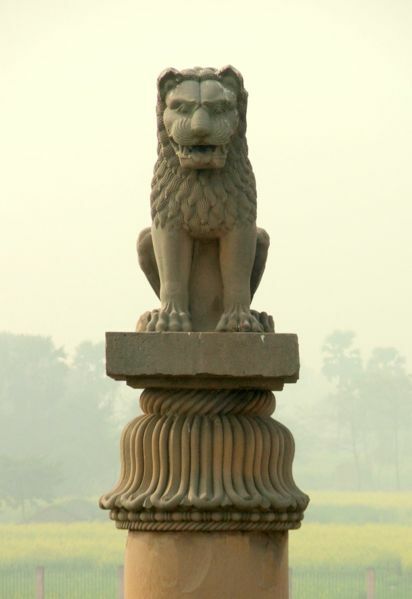 Lauria Nandangarh is the site of the famous lion pillar, erected by king Ashoka. 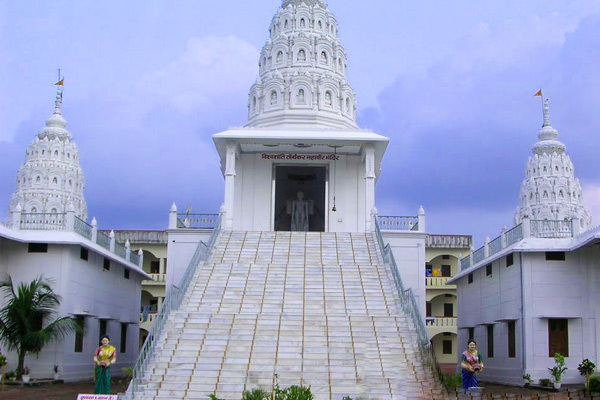 The nearby Nandangarh Stupa is believed to have sacred ashes in it. 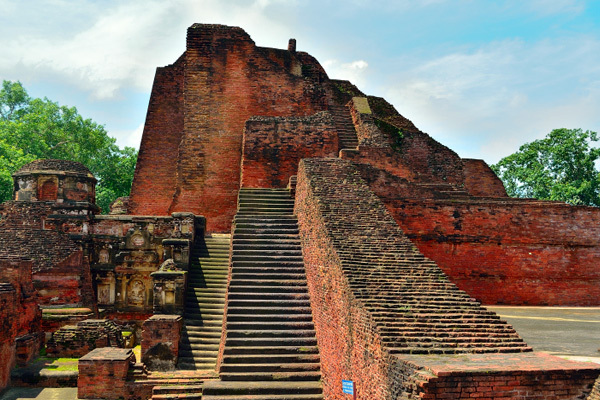 The carefully excavated ruins of the city are worth watching to see how meticulously they were planned and built. It had nine levels of occupation that have been unearthed. 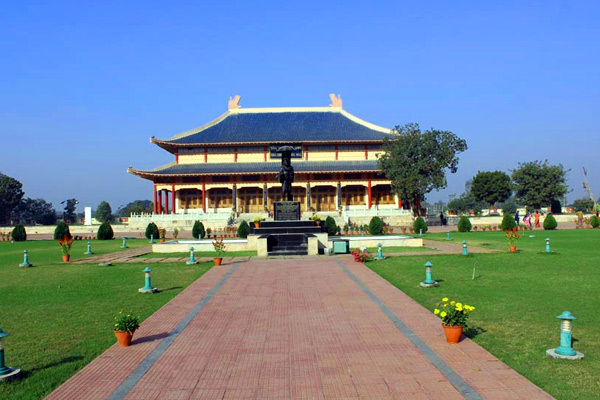 There are large Stupas, decorated panels, dormitories meant for students and large lecture halls. The Museum houses the artifacts those which have been unearthed from the ruins of the site. 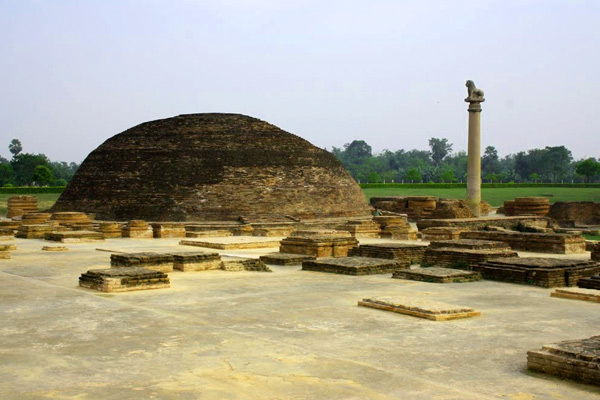 It has a collection of burnt coins and plaques, some idols of Buddha and the most impressive is the seal of the University of Nalanda.